Volunteer project: This organic farm was established in 2013 in Tan Binh District, in the outskirts of Ho Chi Minh City. 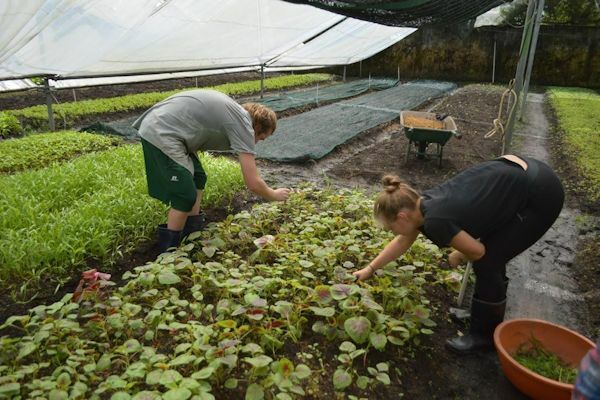 The aim of the program is to provide a friendly environment where volunteers can have cultural exchange with local people while learning the techniques for operating a professional organic farm. After 4 years of research, investment, and standardizing the process of growing vegetables organically, the organic garden in Tan Binh has reached a stable output of over 10 kinds of leaf vegetables and some kinds of fruits. The core members of this project have been working strenuously to achieve their dream of growing healthy produce. The volunteers will be guided and supervised by the manager of the farm. The general tasks would be: seeding new vegetables on the farm, spraying, weeding, creating new vegetable beds, etc. Moreover, the volunteers will have the chance to communicate with Vietnamese kids and show them around the garden when they come for educational tours. Volunteers are also encouraged to try and establish new ideas for improving the product quality on the farm. Working hours are from 8:00am to 11:00am and from 1:30pm to 4:00pm, Monday to Friday. Special requirements: Volunteers must be motivated, reliable, initiative and assiduous in their work on the farm. Most importantly, volunteers need to be friendly and patient, making good relationships with the local workers. Leisure activities: Vietnamese Day, International Day, self-organized city tour and excursions, etc. Accommodation: In a dormitory in Saigon, in shared rooms with bunk beds. Free Wi-Fi is available at the volunteer house. Location: Tan Binh District, Ho Chi Minh City, in the southern part of Vietnam. Volunteer project: In the sustainable living project, we are renovating an old farmhouse on the outskirts of Reykjavik, 15 km from the city centre. Volunteers will do some renovation in the house and on the property, and will take care of the work on the farm. We have chickens, a cat, a dog, a greenhouse for growing herbs and vegetables, and a piece of land where we grow potatoes, carrots and lettuce. Volunteers will help with all tasks related to the farm. The work varies depending on the season. We will also have special topics to discuss in the project, such as food waste, recycling and renewable energy. We will go for visits related to those topics. We'll visit the power plant Hellisheiðarvirkjun and its Geothermal Exhibition which is presented via interactive multimedia installations, wall displays and presentations. It allows visitors to examine Iceland’s geothermal energy utilization in a clear and illuminating fashion. We will also visit the Recycling Center Sorpa where the volunteers will learn about recycling methods. The volunteers will also create documentaries, posters and brochures related to sustainable living, which will be introduced to children in Reykjavik. Leisure time: On weekends, the volunteers can enjoy Reykjavik‘s amazing nightlife, which is world-renowned for its wide array of bars, clubs, and concerts. Reasonably-priced weekend excursions can be organised to some of the most popular, beautiful areas and natural wonders that Iceland can offer. Excursions include unique Icelandic sights such as glacial lagoons, waterfalls, volcanic and geothermal areas, glaciers, geysirs, lava forests, hot-springs, rhyolite mountain ranges, steam-vents, or even icebergs. We will also focus on intercultural learning and exchange. Every evening, volunteers from different countries will present their country and culture in an informal way. It can be a presentation, a game, theater - the form of introduction is up to you. Reykjavik is the world’s northernmost capital city and is centered on the Seltjarnarnes Peninsula. From September until the end of April, and in favourable conditions, you will see the city’s skyline silhouetted against the glowing, shimmering curtain of the aurora borealis, also known as the northern lights. Reykjavik is framed by the majestic Mt. Esja and the blue waters of Faxafloi Bay to the north, while rugged lava-fields spread to the southeast. On a clear sunny day, the Snaefellsjokull glacier glitters on the western horizon like a crystal. Volunteer project: The Sustainable agriculture program takes place in Kundapur, in the lush green, rural area of coastal Karnataka, which is home to breathtaking fauna and flora. The project base is surrounded by coconut and mango trees, creating an	atmosphere of peace and tranquility. The program was initiated with a vision to evolve a model of sustainable agriculture and livelihood by involving and integrating different farming systems	for efficient use	of conservation and management of natural resources. The program is implemented across a 6.5 acres of farm land. Depending on the duration of the program, you will also be involved in activities with children in the local schools, i.e. teaching environmental protection through creative learning methods like art, games, etc. House visits and meetings with local people will be organized as part of the intercultural learning and you will witness and participate in cultural programs with the local community. Leisure activities: Visits to cultural and religious sites, family visits as part of the inter-cultural learning and participation in cultural programs with the local community. Accommodation: In the local training center, in shared rooms. Location: Kundapur is a coastal town in Udupi district, Karnataka state in South India. Kundapur is located at the Arabian sea coast, 440 km north west of Bangalore, 91 km north of Mangalore and 35 km from Udupi. The nearest international airports are Bangalore and Mangalore. Kundapur can also be reached from Mumbai, Goa, Bangalore, Mangalore and Kerala by train/bus. Volunteer project: The project takes place in a rural community, around 1,5 hours inland from Quepos. It is a self-managed farming, animal husbandry and rural tourism cooperative that has a strong commitment to protecting the environment and runs conservation and environmental education activities. The cooperative owns almost 1000 hectares of land that are being used for different activities such as: African Palm tree cultivation, reforestation, conservation of primary forest and ecotourism. The community’s mission is to promote the social and economic development of its families, through the use of profitable enterprises and protection of the environment that surrounds them. The village is surrounded by a tropical forest on the northeast side and by the Savegre River on the northwest side. El Rey beach is only one hour southwest from the community. 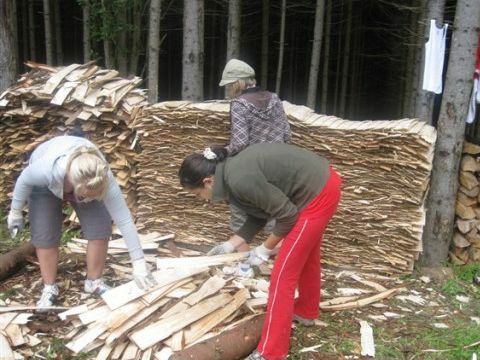 The volunteers will help in different activities related to maintaining, developing and improving the ecotourism program that the cooperative runs: gardening, building cages and fences, digging ditches, raking, making wooden signs for the trails, maintaining and cleaning forest trails and water ducts. They will also help with the other projects of the community, such as organic farming, animal husbandry as well as at the lodge and restaurant area for visitors. Volunteer’s schedule depends on the project needs and on the weather conditions but it’s normally Monday to Friday from 8:00am until mid-afternoon, with a long break at noon. - To be vaccinated against Tetanus, Measles, Mumps and other eruptive diseases. Although it is not absolutely required, we suggest that you get a full set of Rabies vaccination before coming to the project. Please, bring your vaccination chart. Arrival and orientation: All participants in the program have an orientation meeting in San José before travelling to the project. The orientation helps you get an insight into local culture and prepares you for a positive experience in Costa Rica. Please arrive in San José 3 days before the start of the project. On the third day, you will travel to the project site. Duration of the project: 1-3 weeks. Please select the dates that work best for you and submit them with your application. Accommodation: The volunteers stay in a host family in the community. Volunteer project: This is a community based initiative in Mau village, Nabweru Sub-county Wakiso district. The aim is to improve the water, sanitation and hygiene in Maganjo parish by creating, developing awareness materials and other relevant initiatives which will help in mobilizing communities to get involved. Local people are also running a primary/nursery school for children and income generating activities like handcrafts, coffee making, juice packing, knitting and tailoring to improve on their livelihood. Volunteers' tasks: Promotion of community work and preparing and support for outreach programs, training in apprenticeship and organic farming. Study theme: Improving livelihood through community involvement and strengthening income generation for sustainable development. Duration of the project: 1 to 12 months. The program is running throughout the year. Accommodation: Accommodation will be in a host family or a group accommodation on site. Location: Nabweru Subcounty, Wakiso District, 14 Km from Kampala in Central region. Volunteer project: The challenge of food security, especially in the face of rising food prices, places a serious responsibility before the country. Despite immense advances in the agriculture sector, many people still sleep hungry or live under the threat of food shortage. The degradation of natural resources is also a major concern as it severely impacts the livelihoods of poor and backward communities in rural areas. In this backdrop, sustainable agriculture is one of the most effective ways to respond to the challenges of the rural community. In essence, Sustainable Agriculture refers to a set of practices adopted for cultivation that are least harmful to the environment while also ensuring a good crop. It involves crop production methods that support sustainable natural resource management to increase crop productivity, maintain biodiversity, and also are economically viable and socially acceptable. Organic farming is generally sustainable; however, organic produce can also be cultivated on large scale industrial farms that are not sustainable. Soil and water management, organic farming, integrated pest management, and integrated nutrient management are common practices promoted under sustainable agriculture. Sustainable agricultural development, as well as employing organic farming methods, seeks food and nutritional security, improved livelihoods for the people, safe ecosystems, and sustainable economies of agriculture. - Work with the farming community and the associated organisations that assist in sustainable agriculture and/or organic farming. - Conduct community awareness on the importance of sustainable agriculture. - Facilitate training and capacity building on crop productivity, how to maintain biodiversity, water management, organic farming, integrated pest management, and integrated nutrient management, surveys, documentations etc. Duration of the project: The project is run all year round. Minimum duration is 1 month. The project starts on the first Monday of every month. Documents to be submitted: Motivation letter that accurately describes yourself, your skills and interests, past work experience, strengths and weaknesses, etc. is required. This information assists us to match you to the project as accurately as possible. Accommodation: During the orientation week, the volunteers will stay together in a volunteer centre in Kundapur or Bangalore in shared bedrooms, and will take all three vegetarian meals together. Accommodation for the volunteers during the project can either be at the project site, in a local host family or in a hostel – depending on the project, location and availability. Arrival and orientation: Volunteers arrive in Kundapur or Bangalore by the first Monday of each month. Bangalore has an international airport and Kundapur is well connected to Bangalore by train and bus. - Program introduction: topics include aims of the program, way of working, finances, rules and expected behaviour. - India: culture, religion, habits, customs, history, geography, social issues, etc. - Language skills: India has 18 official languages, and many more dialects and sub-dialects. We will start with teaching the local language, Kannada. Do not forget that English is widely spoken throughout the country. However, we encourage you to try to learn and speak the local language, since this will open more doors for you. - Projects: overview of the international volunteer projects in India and an explanation and presentation of your particular placement. There will also be project visits, where you will have the opportunity to meet current volunteers in the project who can share their experiences. - Information: lots of new things will be introduced to you including some sessions on yoga, cooking and Hindu philosophy. - Local sightseeing: meeting people will make you feel right at home. You will have the opportunity to visit market places, Indian homes and natural sites in groups or individually during the free time. - Do’s and Don’ts: there are some simple rules, which can help you have a smooth integration with each other and with the local people. This will also help overcome the culture shock! - Intercultural session: presentation of the represented countries and cultures to the other volunteers and the local youth. - Group games and discussions to make the theoretical sessions as dynamic and participatory as possible. Volunteer project: The aim of this project is to provide an opportunity for volunteers to experience organic farming in Vietnam. This organic farm is inside a Buddhist pagoda in the outskirt of Ho Chi Minh City. The monks who live in the pagoda take care of about 10 orphan children and 20 homeless elderly people. The project aims at making use of uncultivated land in the pagoda to grow vegetables which are an important source of food for the monks, children, and seniors living here. 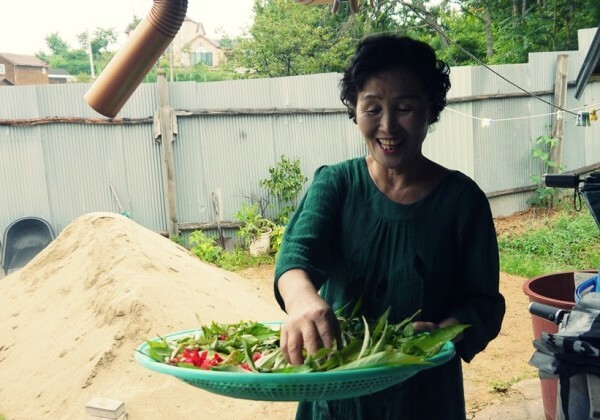 Usually, almost all of their food is donated, and they only buy tofu for the meals. Having an organic vegetable garden, they can provide themselves with healthier and more diverse foods. More importantly, this garden lessens their food expenses. The farm in the pagoda is new, yet full of potential. Two kinds of farming can be carried out here: organic vegetable farming and herb farming. Duration of the project: 2 - 3 weeks. Please select the dates that work best for you and submit them with your application. Arrival and orientation: The project starts on Tuesday, except on holidays. Volunteers arrive in Ho Chi Minh City on Monday or Tuesday of every week. A one- to three-day orientation and training is provided at the beginning of the project. It covers topics such as aims and structure of the program, introduction to Vietnam and tourist destinations recommendation, practical information and arrangements, basic Vietnamese and local travel guide and visits to host placement(s). Accommodation: Volunteers will stay in a dormitory in shared rooms. The house has TV, PC, free Wi-Fi, fridge, washing machine, air conditioner, cooking facilities and common room. There is a cook who prepares a wide variety of delicious and authentic Vietnamese dishes with locally sourced fresh produce daily during the week. On weekends, meals will be served at a restaurant nearby. The extra fee for this project has to be transferred one month before the start. The extra fee is intended to support the local host of the project who does not have sufficient funds. Volunteer project: This organic farming program takes place on the outskirts of Ho Chi Minh City. The farm works to promote eco lifestyle, as well as to provide real organic fruits and vegetables to the community. The farm is about 5000m2 and they use technology based on software to ensure the quality and capacity of the products. There are 6 No’s on this farm: No pesticides and herbicides; No planting on soil and water contaminated with agricultural chemicals; No growth regulators; No chemical fertilizers; No genetically modified seeds; No preservatives. The organic farm also plays an educational role. Children can come to visit and learn about organic farming, eco-lifestyle and environmental issues.